Aging Parents - "Can’t We Talk About Something More Pleasant?" Doing research for Staying Put or Moving On is really something that never stops. We’re always looking for more films, story ideas for films, articles to share and other kinds of information which would not only enlighten ourselves but also our community. Sometimes it can be a bit overwhelming, sometimes surprising. Every once in a while, the search can make me laugh, cry, feel fearful and hopeful all at the same time. 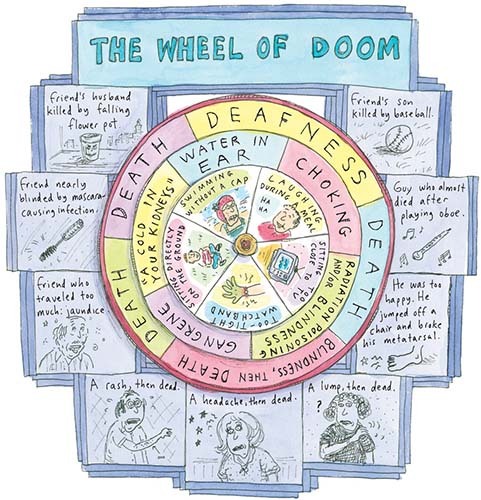 That is definitely the case with Roz Chast’s graphic novel about her aging parents called Can’t We Talk About Something More Pleasant? : A Memoir. It was a #1 New York Times bestseller in 2014 and was a finalist for a National Book Award, Non-Fiction. It’s one of those books you want to give to friends and tell them to share it with more. I’m not sure in which Staying Put or Moving On category it should be placed: Caregiving? Assisted Living? Maybe we should create a new one about Aging Parents. And if you don’t want to read it – which I highly recommend – then stay tuned. It’s being adapted as a television series by some pretty talented folks.